Usain Bolt has brought a lot of money to Jamaica on many weekends. If any international company is thinking of shooting Usain Bolt for an ad campaign, you best start location scouting in Jamaica. Bolt stipulates that all photo shoots with him must be done right here in Jamaica. This is one of the many ways in which he’s giving back. “When we started out people always wanted to do the shoots in Miami, Los Angeles and all over the world,” Bolt revealed during his unprecedented third consecutive appearance on personality programme, Profile aired on Television Jamaica on Sunday, January 21. “It is more important to click with people than to click the shutter.”- Alfred Eisenstaedt, Bolt wrote on Instagram. Bolt attempting to cross the street during a stop in Kingston earlier in January 2016. Bolt also spoke about his Foundation that has donated millions to schools in Jamaica in recent months. “I have a foundation that’s aimed [in helping] younger kids; to work on schools and things like that,” Bolt said during the 25-minute long interview. “I do a little charity ‘on the side,’ but I don’t really talk about it,” Bolt said before chuckling. As for Rio, he reminds us “As long as things go smoothly,” him referring to training, “I will come out victorious, I will keep flying the flag high, I will keep doing great things for the country.” He also reminds us he is going after his 200m record. “That’s one of the focus. I will be pushing myself this season and try to surpass my legendary status,” a relaxed and articulate Bolt said. 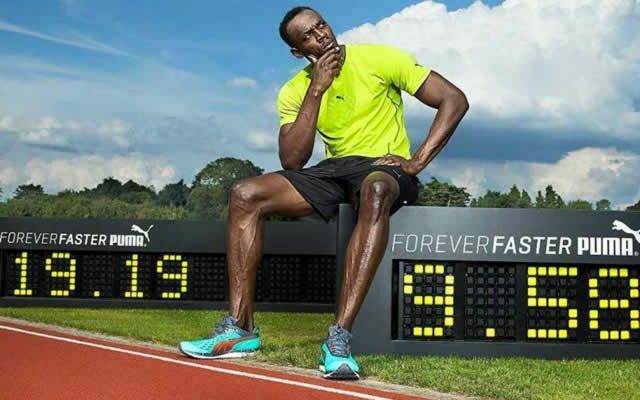 Usain Bolt our ambassador for a lifetime.